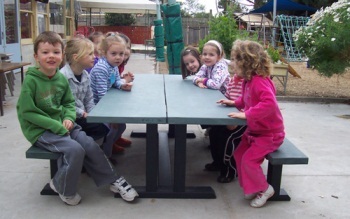 Due to popular demand, Replas now offers a sturdy recycled-plastic table and bench setting designed specifically for kindergarten, pre-school and early primary school children. The Junior setting comes with two extra wide table slats, rather than a series of narrow ones, so little fingers will not be caught in the gaps. 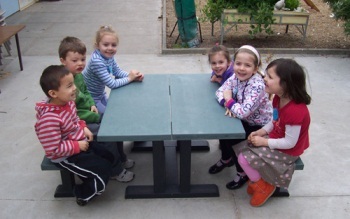 The 540 mm high tables provide a safer setting for children to eat from, as recycled plastic, unlike wood, is not treated with chemicals. And unlike other outdoor furniture which may need constant maintenance, these recycled-plastic tables and benches will not split, splinter or crack and never need painting. Optional chess board inserts can be fitted to your setting. 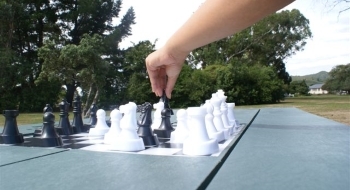 The chess board insert is made from high impact acrylic material and can be custom designed to suit your needs. Please note playing pieces are not supplied.